I have found some new beauty favorites that I want to share with you today. These cheap face wipes are great for removing eye makeup!Also, the Origins brand is one that I have been loving lately. They sell these products at Sephora and in Dillards, and some cities have separate Origins shops. Two items that I purchased when the store was having a deal where you got $25 off when you spent $60 or more were the Clear Improvements charcoal mask and the Modern Friction Dermabrasion Scrub. I have been using the mask every week and I like how the product makes my skin feel super soft after each use. I haven't noticed any dramatic results, but I do see how the mask works deep into my skin to pull out all the bad stuff! The scrub is a gentle one that gets all the dead skin off my face and works to even out my skin. How I wash my face is by using this Boscia Charcoal face sponge.They are $15.00 at Sephora and last for around 3-4 months. I absolutely love using this day and night because it helps foam up my products and is not too abrasive on my skin. When I need a deep pore cleaning I go to my LUSH mask that is minty and really works well to dry up excess oils on my skin! 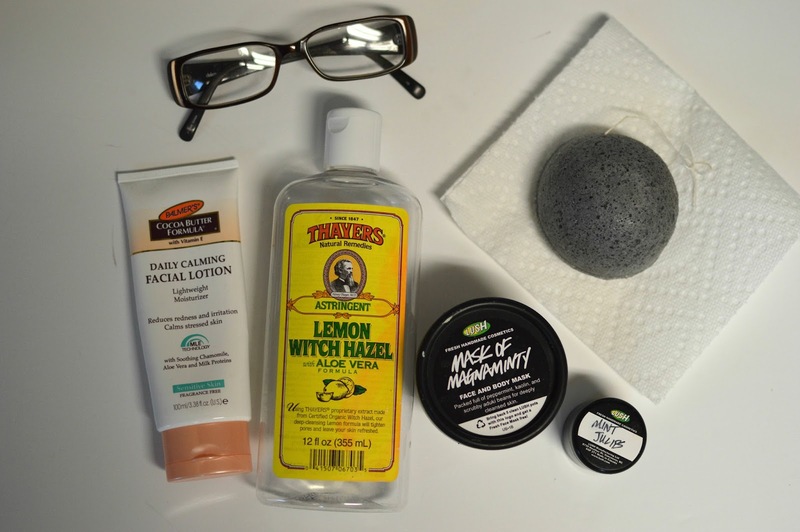 My toner that I apply after I wash my face is a Thayer's Witch Hazel and I am currently using the lemon scent. I always apply a face lotion and I recently repurchased this $7.00 Palmer's Daily Calming lotion. 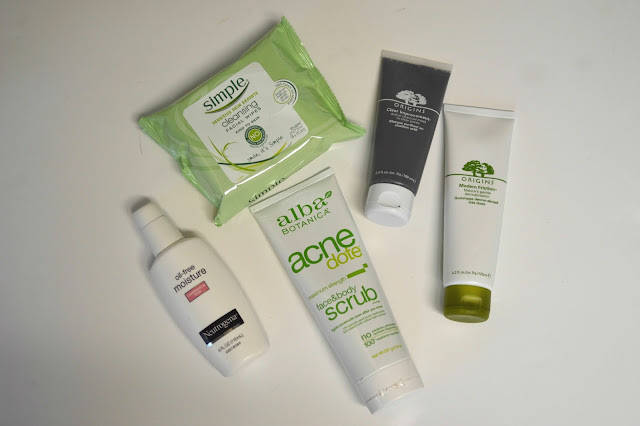 These are some of my new finds, let me know what skin care products you have in your arsenal!